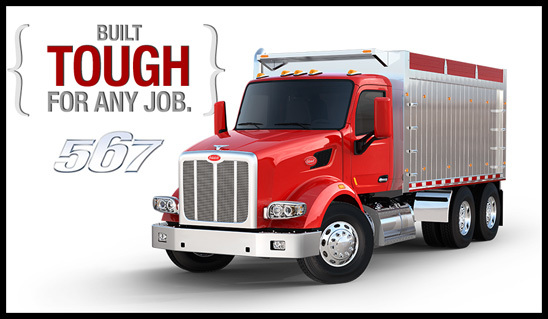 INDIANAPOLIS – March 6, 2018 – Peterbilt Motors Company proudly displays its product lineup at the National Truck Equipment Association Work Truck Show® in Indianapolis. Peterbilt models on display in booth #1811 include: Model 220 in sweeper and refuse container configurations, a Model 337 box van, Model 348 water truck and a Model 567 crane truck. Peterbilt’s Models 220, 337, 348 and 567 can be configured to meet the demands of various applications. Depending on model, the medium duty lineup is available from 19,500 to 66,000lbs GVW as truck or tractor configurations, and as single or tandem-axles.